We’d love your help. 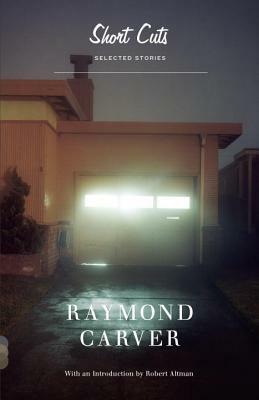 Let us know what’s wrong with this preview of Short Cuts by Raymond Carver. The nine stories and one poem collected in this volume formed the basis for the astonishingly original film “Short Cuts” directed by Robert Altman. Collected altogether in this volume, these stories form a searing and indelible portrait of American innocence and loss. From the collections Will You Please Be Quiet, Please?, Where I’m Calling From, What We Talk About When We The nine stories and one poem collected in this volume formed the basis for the astonishingly original film “Short Cuts” directed by Robert Altman. Collected altogether in this volume, these stories form a searing and indelible portrait of American innocence and loss. From the collections Will You Please Be Quiet, Please?, Where I’m Calling From, What We Talk About When We Talk About Love, and A New Path to the Waterfall; including an introduction by Robert Altman. With deadpan humor and enormous tenderness, this is the work of “one of the true contemporary masters” (The New York Review of Books). To ask other readers questions about Short Cuts, please sign up. Short Cuts: Selected Stories (1993) – published to accompany the Robert Altman film Short Cuts. Also, Short Cuts is a 1993 American comedy-drama film, directed by Robert Altman. Filmed from a screenplay by Altman and Frank Barhydt, it is inspired by nine short stories and a poem by Raymond Carver. The film has a Los Angeles setting, which substitutes the Pacific Northwest backdrop of Carver's stories. Short Cuts traces the actions of 22 principal characters, both in parallel and at occasional loose points of connection. The role of chance and luck is central to the film, and many of the stories concern death and infidelity. Four stars mainly because there isn't much new here. Great here? Absolutely. Most of it is fantastic. Altman loved Carver and you can tell in the movie and his selections of stories. My first introduction to Carver was watching Altman's Short Cuts while still in high school. I liked the film, felt something brutal, raw and strong in the film, but really wasn't old enough to appreciate the source (or Altman's take on it). I probably also didn't have enough lemons in my life to appreciate stories like "A Small, Good Thing" or a poem like "Lemonade". This is as good a place as any to jump into Carver, but I'd seriously recommend any of his collections. He is a master of minimalism, emotion, and humanity. * from Will You Please Be Quiet, Please? Finally got round to reading some Raymond Carver. I didn’t realise initially that this compilation was taken from various collections, selected by a filmmaker who made a movie out of these stories woven loosely together. I would have preferred to read a collection of stories as originally intended by the author himself, so that I can try to make sense of the connections between the stories myself, rather than through the intermediary of a movie director. Oh well. Anyway, I did enjoy these stories Finally got round to reading some Raymond Carver. I didn’t realise initially that this compilation was taken from various collections, selected by a filmmaker who made a movie out of these stories woven loosely together. I would have preferred to read a collection of stories as originally intended by the author himself, so that I can try to make sense of the connections between the stories myself, rather than through the intermediary of a movie director. Oh well. Anyway, I did enjoy these stories of ordinary people at the edge of some personal, internal hysteria. The characters are often emotionally isolated from their partners, and the small incidents explored by Carver in each story reveal as much about the characters' relationships with their spouses as of the characters themselves. There is seldom true communion of spirit between Carvers’ couples, and many stories explore how the characters try to find their equilibrium within the structure of marriage. Although not all the stories end badly for the characters, there seems to be a pessimism in the way Carver views marriage, and the resolutions at the end of the stories are often of some form of compromise rather than true reconciliation. If I could give this book ten stars, I would. I LOVE Ray Carver's book(s) so freaking much. I remember reading stories from this collection before I really decided to become an author, and his scope of storytelling made me write in my journal, even as an undergrad: I wish I wrote that sentence. About 100 times! I can't even remember how many times I have read just this one book of his, let alone other Carver books, also. If you ever think you might not be a writer, or might not want to be in thi If I could give this book ten stars, I would. I LOVE Ray Carver's book(s) so freaking much. I remember reading stories from this collection before I really decided to become an author, and his scope of storytelling made me write in my journal, even as an undergrad: I wish I wrote that sentence. About 100 times! I can't even remember how many times I have read just this one book of his, let alone other Carver books, also. This was my first foray into Raymond Carver's oeuvre. I expected to love this because of what I'd read about his writing and several of my favourite authors citing him as an inspiration. Clean, sleek minimalist short stories that pack a punch sounded just like my kind of thing. And there were some brilliant stories, most notably "Will You Please Be Quiet, Please?" (what an amazing title too! ), but others I found not really going anywhere. Also, due to the very minimalist style and the briefness, This was my first foray into Raymond Carver's oeuvre. I expected to love this because of what I'd read about his writing and several of my favourite authors citing him as an inspiration. Clean, sleek minimalist short stories that pack a punch sounded just like my kind of thing. And there were some brilliant stories, most notably "Will You Please Be Quiet, Please?" (what an amazing title too! ), but others I found not really going anywhere. Also, due to the very minimalist style and the briefness, I had trouble to connect to the characters, and in general I love character-driven stories the most. موضوع اصلی و حاشیه ای تمام داستان های این مجموعه _ که منتخب یک کارگردان برای فیلم اش بوده _ جدایی و اتمام یه رابطه ی عاشقانه تو بطن روزمرگی ها و پوچی های باز هم هر روزه است. جدایی های ساده، بی داد و فریاد و بدون اکشن های تند و پرخاش. جدایی های ساده ای که توو طول زمان شکل گرفتند. یه پذیرش و غمی هست توو قلب این قهرمان های کوچیک چند صفحه ای. یه انفعال که نه ، یه پذیرش هایی یه دونستن های پیشاپیش همراه با احترام توو همشون هست. تمام شخصیت های ما توو صفحه های آخر تنها می شند یا از قصه ی تنها شدن اشون برامون می گن و این تنهایی و این قصه از پشت برگ های کتاب میاد بیرون و می شینه رو صورت آدم مثل یه تور یا مثل یه مه. نمی شه داستان هاش رو پشت هم ادامه داد چون این پرده های مه رو هم می شینن و ضخیم می شن. شاید بشه تک تک جلوشون رفت: یک تنهایی بزرگ تووی دل یه قهرمان کوچیک برای هر روز. خوشحالم که داستان " وقتی از عشق حرف می زنیم از چه حرف می زنیم" توو این مجموعه گنجونده شده بود. مدت ها بود که دوست داشتم بخونمش. خیلی به من نزدیک و خیلی برام واقع گرایانه بود. This has been sitting on my DVD shelf for a few years now as the Criterion companion to the movie. While I really enjoy the movie, I think I ended up buying it just because there was a book included in the packaging. And thank goodness...Carver might have continued to go undetected by me as--for the most part--all I've ever heard him discussed is a one sentence nod of approval in passing. Not that I could have predicted it, but I'm glad I've waited to read his work because I might not have appre This has been sitting on my DVD shelf for a few years now as the Criterion companion to the movie. While I really enjoy the movie, I think I ended up buying it just because there was a book included in the packaging. And thank goodness...Carver might have continued to go undetected by me as--for the most part--all I've ever heard him discussed is a one sentence nod of approval in passing. Not that I could have predicted it, but I'm glad I've waited to read his work because I might not have appreciated it as much had I read it before this particular moment of my life...whatever that is. So this is a collection of his stories (plus one poem) that Robert Altman used in his film, which added a whole other level to my reading that I enjoyed. I usually like to read the book before I see the movie, but in this case I'm glad it went the other way around. It was fascinating to find what elements Altman used and their point of departure, and really I can't say that I enjoyed one more than the other in its own right. However, Carver's style really shines through...I love the open ends he leaves in his stories. In other authors' writing, this technique often seems to me like a cop out, a lazy solution for a plot they never quite thought out, but with Carver I feel a sense of certainty planted within what might seem ambiguous. Like this is where we close our eyes to go to sleep for the day, and even though the future likely will sling us every which way, at least we know tomorrow will come, even if maybe not for us...that much we may rely on. At my birthday party, I mentioned to someone that I had recently read these stories, and two other people, seperate from each other and from me, started raving about how good Carver is. It's true. All I want to do after reading this guy's stories is drink and beat my wife. Except beautifully. "For their honeymoon they drove to Guadalajara, and while they both enjoyed visiting the decayed churches and the poorly lighted museums and the afterno At my birthday party, I mentioned to someone that I had recently read these stories, and two other people, seperate from each other and from me, started raving about how good Carver is. It's true. One horrific character after another. The darkness within these men is written with mind-blowing simplicity. The American Dream gone bad. Love this collection! Este señor sabe desentrañar la vida cotidiana y lo detestable que viene con ella. Ο Ρέιμοντ Κάρβερ, ένας από τους μαιτρ του "βρόμικου ρεαλισμού" αλλά και της μικρής φόρμας, έγραψε δεκάδες διηγήματα που μπορεί να βρει κανείς σε διάφορες συλλογές. Τα περισσότερα από αυτά έχουν μεταφραστεί και στα ελληνικά (από τις εκδόσεις Μεταίχμιο κυκλοφορεί πλέον ένας συγκεντρωτικός τόμος με πολλά διηγήματα). Το συγκεκριμένο βιβλίο περιέχει εννέα διηγήματα και ένα (κάτι σαν) ποίημα, πάνω στα οποία βασίστηκε και η πασίγνωστη ομότιτλη ταινία του 1993, σε σκηνοθεσία Ρόμπερτ Άλτμαν. Είναι η πρώτ Ο Ρέιμοντ Κάρβερ, ένας από τους μαιτρ του "βρόμικου ρεαλισμού" αλλά και της μικρής φόρμας, έγραψε δεκάδες διηγήματα που μπορεί να βρει κανείς σε διάφορες συλλογές. Τα περισσότερα από αυτά έχουν μεταφραστεί και στα ελληνικά (από τις εκδόσεις Μεταίχμιο κυκλοφορεί πλέον ένας συγκεντρωτικός τόμος με πολλά διηγήματα). Το συγκεκριμένο βιβλίο περιέχει εννέα διηγήματα και ένα (κάτι σαν) ποίημα, πάνω στα οποία βασίστηκε και η πασίγνωστη ομότιτλη ταινία του 1993, σε σκηνοθεσία Ρόμπερτ Άλτμαν. Είναι η πρώτη μου επαφή με το έργο και την γραφή του Ρέιμοντ Κάρβερ και μπορώ να πω ότι έμεινα απόλυτα ικανοποιημένος. Δεν ήμουν και εκατό τοις εκατό σίγουρος ότι θα μου άρεσε το ύφος της γραφής του ή το περιεχόμενο των ιστοριών του, αλλά αφού διάβασα τις πρώτες ιστορίες της παρούσας συλλογής, κατάλαβα ότι θα μου άρεσε σαν συγγραφέας. Γενικά μου αρέσουν τέτοιου είδους ιστορίες, που αναδεικνύουν διάφορα κοινωνικά προβλήματα και δεν ωραιοποιούν καταστάσεις. Η γραφή του Κάρβερ, με την λακωνικότητα και την λιτότητα στις περιγραφές και τους φυσικούς διαλόγους, ήταν ό,τι έπρεπε για το συγκεκριμένο είδος. Όσο, άλλωστε, και η όλη μελαγχολική ατμόσφαιρα. My introduction to Carver; a Greatest Hits album of sorts. Going in I expected something similar to Bukowski - drunks and affairs and domestic violence. It certainly contained all of those things, but it had something Bukowski lacks - a humanity. A tenderness and an eye for life's little moments that can mean more than is expressible in words. Grieving parents sitting in a bakery eating cinnabuns or a woman attending a funeral of a girl she's never met. That's not to say Carver is in anyway sappy My introduction to Carver; a Greatest Hits album of sorts. Going in I expected something similar to Bukowski - drunks and affairs and domestic violence. It certainly contained all of those things, but it had something Bukowski lacks - a humanity. A tenderness and an eye for life's little moments that can mean more than is expressible in words. Grieving parents sitting in a bakery eating cinnabuns or a woman attending a funeral of a girl she's never met. 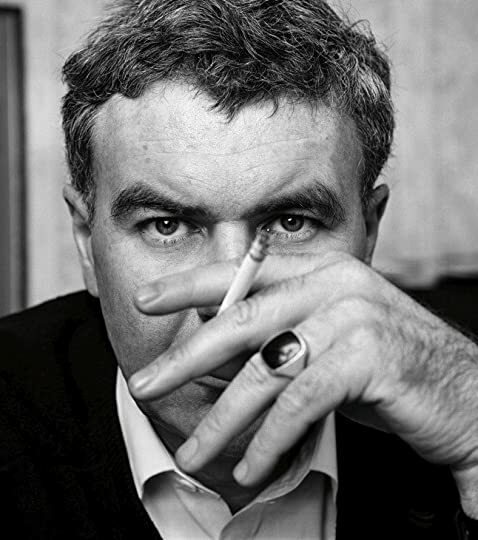 Non deve sorprenderci il fatto che Raymond Carver non abbia mai scritto romanzi: è troppo felice l’incontro fra la narrazione breve e la miseria di un’umanità semplice, di periferia, quasi sempre derelitta, fotografata nel suo tentativo di restare in piedi nonostante tutto, la cui vita è priva degli avvenimenti straordinari e dei complessi intrecci che meglio si adattano ai grandi romanzi. Me estoy aficionando a este estilo amargo. I think I had probably read most of the stories before in other collections and also seen the Altman movie based on the stories. Carver's a brilliant writer, though very dark. The big duh: Raymond Carver is one of the masters of the contemporary short story. The really great thing about Carver is that his stories are so easy -- you can blaze through them like a pop novel without missing a beat, and yet come out on the other end knowing you've read something tremendous. They are SIMPLE, but far from SIMPLISTIC. This collection is actually a movie-to-book edition. In the 90s, Robert Altman (director of M*A*S*H and Nashville) created a film that put together 9 of Carver's The big duh: Raymond Carver is one of the masters of the contemporary short story. The really great thing about Carver is that his stories are so easy -- you can blaze through them like a pop novel without missing a beat, and yet come out on the other end knowing you've read something tremendous. They are SIMPLE, but far from SIMPLISTIC. Avevo già letto "Cattedrale", e in quest'altra raccolta di racconti (scelti da Robert Altman, che vi si è ispirato per il film America Oggi) ho ritrovato il Carver che ricordavo. Pennellate di crudeltà, di quotidianità, di vite di estranei così umani e verosimili che potrebbero essere i nostri vicini di casa, o noi stessi. In realtà lo stile asciutto di Carver e soprattutto i finali tronchi, taglienti e amari che lo caratterizzano sono in gran parte dovuti alla mano pesante del suo editor. Ma ciò Avevo già letto "Cattedrale", e in quest'altra raccolta di racconti (scelti da Robert Altman, che vi si è ispirato per il film America Oggi) ho ritrovato il Carver che ricordavo. Pennellate di crudeltà, di quotidianità, di vite di estranei così umani e verosimili che potrebbero essere i nostri vicini di casa, o noi stessi. In realtà lo stile asciutto di Carver e soprattutto i finali tronchi, taglienti e amari che lo caratterizzano sono in gran parte dovuti alla mano pesante del suo editor. Ma ciò non toglie che l'umanità descritta da Carver sia desolatamente realistica, proprio perché si tratta di personaggi umili e "normali", i cui pensieri sono perfettamente condivisibili. Lo que nos cuenta. Recopilación de diez relatos del autor, más un poema, sobre los que el director de cine Robert Altman (que firma el prólogo) se basó para construir su película del mismo título y que generó la publicación de este libro, que se aproximan a diferentes escenarios de apariencia cotidiana pero que cubren mucho más. Carver can take the everyday and charge it with the profound. He's got the knack for taking normal life and tearing it up into ragged pieces. There is drama and nuance, and MENACE. And he does it all in this fantastic minimalist voice. If you like him, check out Andre Dubus. Bello bello bello. Tra i miei preferiti "Vuoi star zitta, per favore?" e "Con tanta di quell'acqua a due passi da casa". Un uso delle sensazioni e delle persone incredibile. "...y recuerda cuando la vida era dulce y ya no puede encarar dulcemente lo que le queda de vida." Two things are certain: 1) people no longer care what happens; and 2) nothing makes any real difference any longer. A stunningly good book, and one which is paradoxically both perfect & completely ill-suited to reading just before and after childbirth. Having read "Popular Mechanics," I know that I am capable of enjoying Raymond Carver. Unfortunately, none of the stories in this collection grabbed me as that one did. I came across the film 1CShort Cuts 1D and made a bee-line to the Raymond Carver books I have on my shelves. Famous film director Robert Altman had chosen from a handful of his short stories to weave a story of woe and despair in 1980 19s Los Angeles. That 19s it 13 the land of sun, sand, limosines, and a lot of drugs and alcohol - Altman goes to the heart of Carver 19s stories and brings us all home. Carver writes about the rest of us. He knows all about failure. These stories are less about minimalism, and more about alcoholism. Who better to write about it than Carver. Much of his alcoholic life led him to police stations, courtrooms, emergency wards and recovery centers. His stories stink with liquor. 1CWill You Be Quiet Please 1D offers up a typical Carveresque character: a young, idealistic romantic that drinks like a fish. This guy Ralph is married to a beautiful woman and has a house full of kids. The problem is his head is full of 1Cmystery and excitement 1D which he is never going to get from his marriage. To compensate, he invents this jealous streak that raises his level of complexity even with the beauty of his wife. Of course, that 19s never going to work, so the next best thing is nasty alcohol-fueled binges to take the edge off. He not only strives to destroy himself but his family disintegrates in his wake. There are no heroes here. Not even close. In 1CVitamins, 1D Carver is a little more cute but still cuts to the bone. The story is about the wife of the narrator 13 she sells vitamins for a living and hates life for it. Ironic? While she is on the road giving her all for health and prosperity, Carver 19s narrator is is guzzling scotch and milk and following around his wife 19s girlfriends. The narrator tries to come off as sensitive, like he think he had special insight and is a good conversationalist, but the more drinks he has, the less he listens. It 19s all a front. When he cheats on his wife with her best friend in the wrong type of bar, he runs into two wrong-type of black dudes. One of the brothers brings a phony smile to the table. The other has just brought back an ear from Vietnam. Here is more irony: Carver 19s narrator is built up to handle complex situations, but when he looks at the black dudes and the ear on the table, he has nothing to say. 1CShort Cuts 1D is loosely based on these stories and others like them. Altman takes plenty of poetic liberties to bring the action from the Pacific Northwest to the wasteland of L.A., but he does what he has to do to bring plenty of meaning along with him. My favorite part of the film revolve around two characters that don 19t even appear in any of the Carver stories I 19ve read. Tess and Zoe, mother and daughter, connect the stories with the sounds and rhythms of their music. Zoe plays an intense cello while Tess is a drunk and battered nightclub singer. Her voice is nicotine soaked. Her eyes are glazed over. She belts out blues from a world gone by. She 19s clearly got soul, but no one listens. You couldn 19t tell where her songs began and her life ended. She is so out of it, she passes out halfway through the story. Her daughter leaves, and she 19s singing into her pillow. Everyone is hurting. No one is listening. That 19s perfect Carver. What can anyone say that hasn't been said? It's Carver, who is now becoming a cult figure. Regardless, he was a great writer. How can I capture the essence of a Raymond Carver story? It is a difficult proposition. Let me try this: a small vignette. It is a bright spring morning in Seattle. The neighbors are going about their business; tending to flower beds, mowing their lawns. I'm standing at the bottom of a short flight of stairs, stairs that lead to what is soon not to be my house. The woman w What can anyone say that hasn't been said? It's Carver, who is now becoming a cult figure. Regardless, he was a great writer. How can I capture the essence of a Raymond Carver story? It is a difficult proposition. Let me try this: a small vignette. It is a bright spring morning in Seattle. The neighbors are going about their business; tending to flower beds, mowing their lawns. I'm standing at the bottom of a short flight of stairs, stairs that lead to what is soon not to be my house. The woman who is soon not to be my wife is at the top of the stairs. The front door is open. There are a few brown paper bags sitting on the landing outside the door. The bags are misshapen, bulging with belongings haphazardly packed. Paper grocery bags make lousy luggage. The woman at the top of the stairs is wearing a bathrobe, one hand clutching it at her throat. Her voice is ringing out over the quiet street, but I cannot hear the words. There is only a chanting sound, volume rising and falling. The chant has wings, carrying it across the morning. The neighbors keep their heads down, try not to hear. There is poison in the chant, an easily caught infection, darkness that could seep into an unguarded crack. A bare foot flashes in the sunlight, kicking one of the paper bags. The bag tumbles down the wooden steps, ripping open on the second bounce. Books, CD's, balled-up socks; they cascade down the worn wood, landing around my feet. I gather up the detritus as best I can, cradling it in my arms. As I turn away, the chant hits me in the back of the neck. I throw the armload of junk into the bed of my pickup, joining it with the rest. Behind me, I hear the slam of a door.